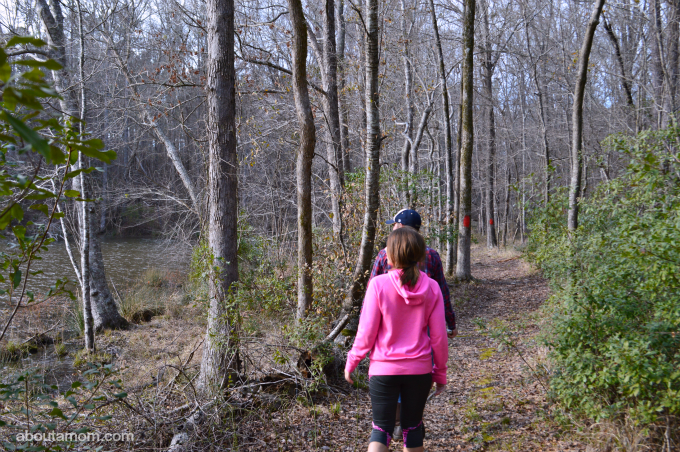 Does your family go geocaching? It is so much fun! If you’re not familiar with geocaching just think of it as a treasure hunt, only instead of using a map you use GPS coordinates to find the hidden treasure aka geocache. There are millions of geocaches hidden around the world. Chances are there are some near you. 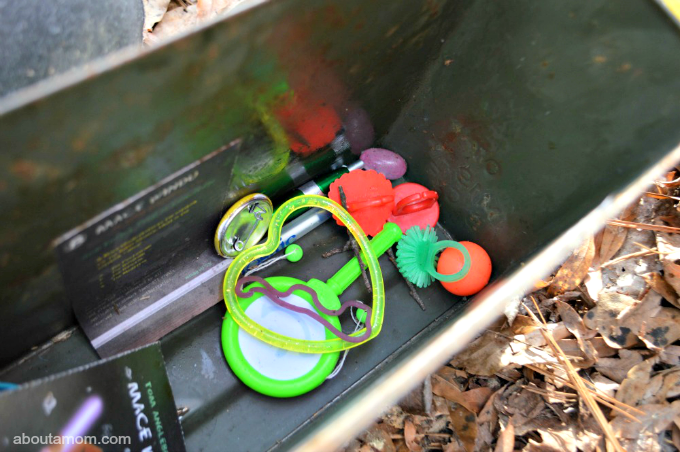 Geocaching is a very affordable way for families to go on an adventure. You don’t need any expensive equipment to do it. You can simply use a free app on your smartphone, but first things first. Before you head out on your geocaching adventure, be sure to start the day with a good breakfast. I am thrilled to partner with the J.M. Smucker Company to tell you about geocaching and my family’s favorite Hungry Jack products. While some are easy to get to, you can potentially do a lot of walking, depending where your caches are located. You’ll want to be sure and have a hearty breakfast and fuel up for your big adventure – something like Hungry Jack Belgian Waffles or Pancakes. Two favorites at my house! 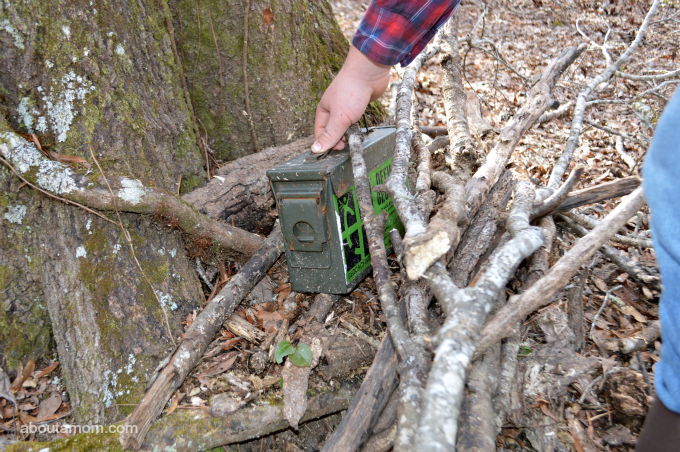 Recently, we went out to Hamburg State Park to find some caches. There are caches hidden in many state parks across the United States. We knew that finding this particular geocache was going involve a lot of hiking through the woods, so a hearty breakfast was in order. I think my family would be thrilled if we had waffles every day of the week. 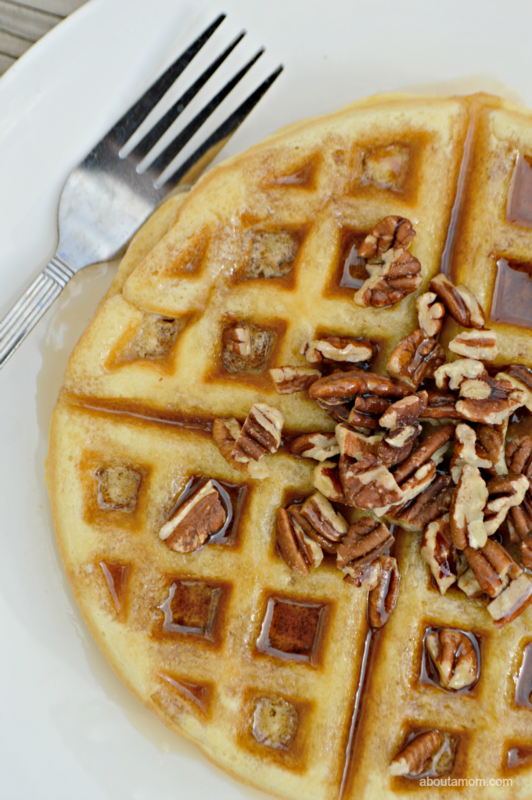 These pecan waffles are pretty hard to top. Don’t they look yummy? Now that you’ve started the day off right with a Hungry Jack breakfast, it’s time for an adventure. 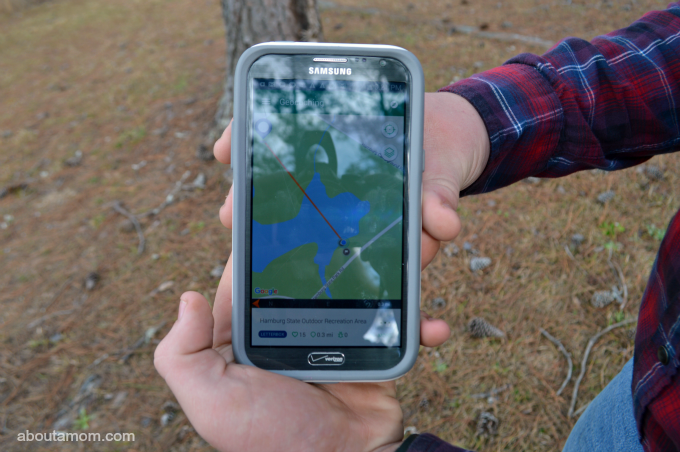 Here’s how to go on a geocaching adventure with your family, using your smartphone. To get started geocaching, you’ll first need to take a moment to set-up a free geocaching account online. Then you’ll want to download a geocaching app. There are a variety of free apps available. I am currently using the free Geocaching Intro app. It is available for both Android or iPhone. 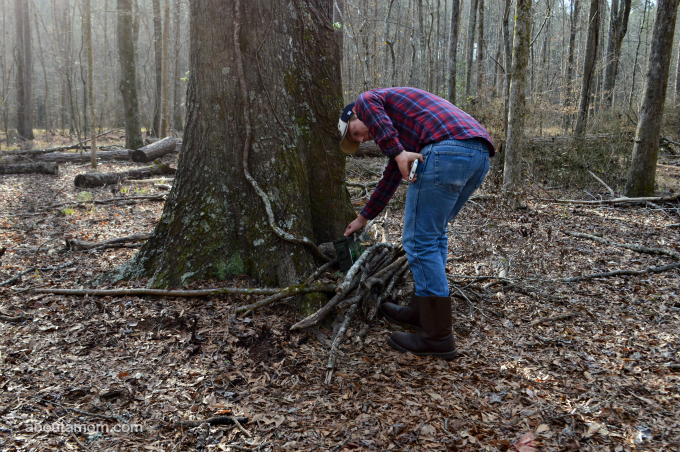 The app will help you locate nearby caches, and provide tips and tricks along the way. Most apps are a very user friendly, so you will quickly be on your way. Before heading out, be sure to gather some swag. There are a variety of different caches out there. Some will be just a medicine bottle wrapped in duct tape, with a log inside for you to sign. Other caches might be a box that is filled with swag. When you find one of these, you’ll want to have some small objects (swag) that you can add to the box. If you put some swag in the box, you can take something else that you like. Just make sure that if you take something from the geocache, that you add something of equal or greater value. Smaller children really enjoy this aspect of geocaching. The geocaching app will tell you which type of cache it is. 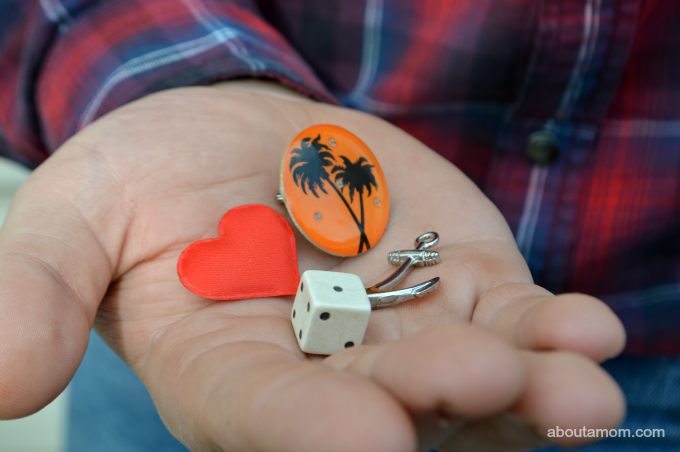 There are currently over a dozen different types of caches, including trackables which are pretty neat. You can follow their path as them move across the country, or the world. Geocaches can be found in a lot of different places. Some are easy and quick to find, while others require a lot of work. Your app will tell you the difficulty and distance required to find a cache. I absolutely love geocaching in State Parks. The scenery is lovely and it’s usually a great workout. 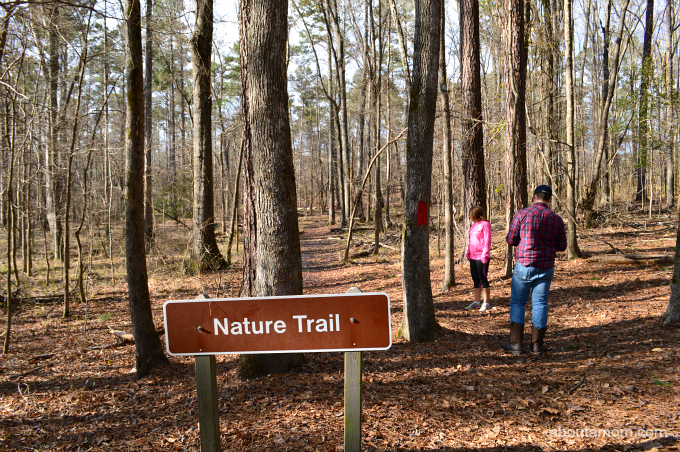 After having some record cold temperatures last month, the warmer weather that kicked off February was perfect for walking the trails at the park. Our treasure hunt took us deep into the woods. There a few times when our cell signal dropped, but as long as we stayed on the red trail we were fine. The trail was pretty well marked, although we did get off trail a few times because of some downed trees. It just added to the adventure. 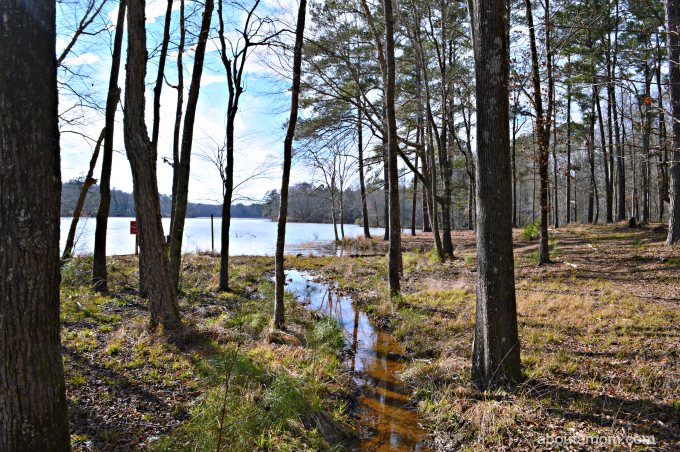 The trail took us around a scenic lake. It was such a beautiful winter day. The scenery was breathtaking. This was an advanced geocache and we walked A LOT to find this hidden treasure. It was totally worth it though. The geocache was hidden just where the app said it would be, behind one of the red-marked trees. This was a great find. There was a lot of fun swag in the box. The log book was full of people who had been there before us, as recently as the day before. Once you find the geocache, sign and date the logbook, re-hide the geocache exactly how you found it. When you get home, be sure to share your experience online. That cute little Woodstock figure pictured above now lives on the dash of Jacob’s truck. It’s so easy to go geocaching with your smartphone. I hope you’ll take advantage of the next warm day, to get outdoors and go on a treasure hunt with your family. Don’t forget to have a great breakfast before you go! I highly recommend the Hungry Jack Belgian Waffle Mix. How does your family fuel up for a big adventure? You might also like these lemony pancakes with berries. There are a lot of geocaches in my area but we have never gone looking for them. It seems like a fun thing to do as a family. This sounds like an awesome adventure with the family. 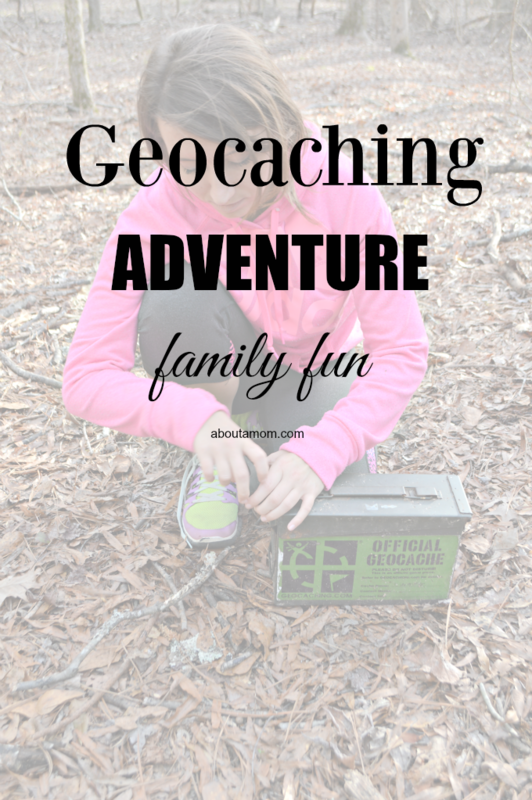 Geocaching sounds like a great activity! I miss the days when we just go out in the woods and enjoy! I think this would be so much fun to do with my family. Sadly, I think a few of my kiddos are a bit young yet but I can’t wait to be able to do this! We’ve never done geocaching. It looks fun. I’m sure the kids will love this. 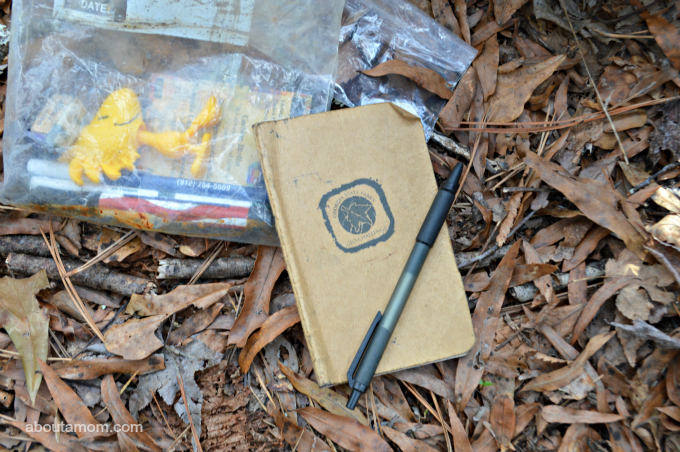 I love the idea of geocaching, but we’ve never gone before. Super cool! Maybe we just need a good breakfast to get going! I have never been on a Geocaching adventure but would love to. I wonder if my kids would enjoy going with me? BTW I had no idea Hungry Jack had Belgian Waffle Mix. I order mine online but will have to give this a try, we only use Maple Syrup however. I never heard of geocaching adventure before. It sounds like fun. I bet my girls would love to do it. I agree, my boys would love this, sounds so much fun! 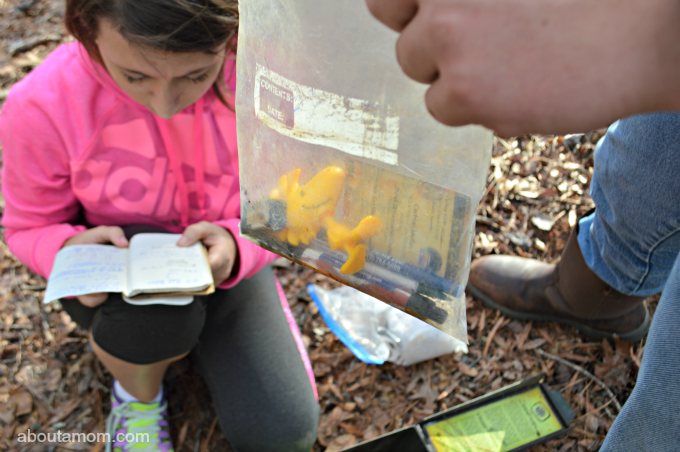 I have been wanting to do geocaching with my kids for awhile. It would be a great homeschool lesson for them! What fun! I’ve always wanted to try geocaching. I might have to do some research about places to do it in our area. Friends do this and I always talk about doing it with the kids….need to. My boys would love this! We used to play something similar when they were little children, something like a treasure hunt. I will let them know about this and maybe we can plan a great family activity soon as the weather warms up a little. I remember you telling me how much walking you did that day. Thank goodness you set out with a nice full stomach from a hearty breakfast! Geocaching is a new concept to me and I will most certainly read more about it. Your post has gotten me interested in it and I was thinking of doing an event or a team-building activity that’s going to involve geocaching. I had a friend who went geocaching in Sedona last year. She said it was a lot of fun. I didn’t know they had an app for it. Yum to the breakfast! Also thanks for writing a post about this. I had always wanted to know more. Looks like something we will enjoy. I will sign up!!!! Thanks again and it looks like fun! 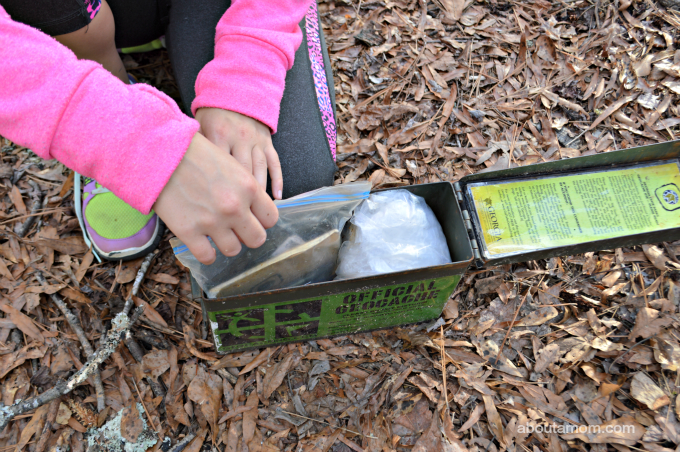 Geocaching sounds like a great activity! 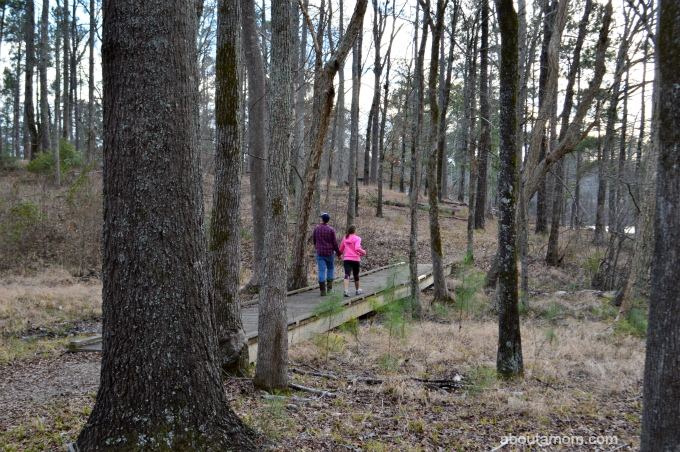 We often just go out in the woods and enjoy it! I’ve seen the geocaching buzzing around a lot lately and it seems to be a really fun thing to do. 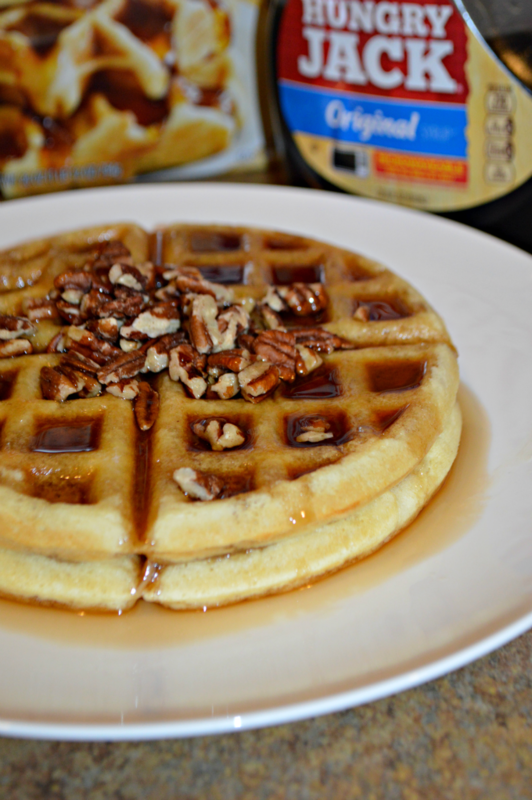 Also the pecans on those waffles look ahmazing! That would be so much fun with family, my kids were brought up pre-electronics 🙁 I would of loved to be able to do this with them. This sounds like a great idea and I love the have the the Geocache app for the androids. Your Hungry Jack breakfast looks so good and adding the walnuts is a wonderful ideas. Thanks for sharing the app. This sounds like lots of fun, i keep hearing about geocaching. Geocatching soumds so fun. I’ll need to download that free app to get me started. Plus, those pancakes look amazing! Oh my! the waffles looks delicious! I haven’t tried geocaching. It’s actually the first time I’ve heard of it. it looks like fun. How fun I haven’t heard of geocaching before. Our family always has to have something with eggs for energy and to fill us up. I want to take my daughter to do this, she would love it.